– with DANA-Technology you will have a serious, reliable, innovative and long term strategic partner. – with DANA-Technology you will have a serious, reliable, innovative and long strategic partner. 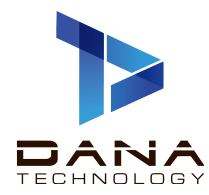 DANA-Technology ApS is a technologically innovative company focusing on the development of machinery and equipment within FOOD AND PET FOOD INDUSTRY. Our goal is to contribute to your business’s continued success, if you are small, medium or large, we will make your business valuable. We believe in personal relations and know that our team of skilled professionals is the key to success and trust, when cooperating with you as a customer. When you place an order with us, you become a part of a dedicated company who will strive to make your production and business a success. Enter into long strategic cooperation with our customers. Be involved in our clients long term future plans. Create value for our customers through the delivery of efficient, reliable and innovative technologically-developed equipment. Be known both at home and abroad, as a company with new innovative ideas that create trendsetting and innovative equipment. Expand the company’s exports through effective cooperation with agents and collaborators who “burn” to Market and Sell equipment from DANA-Technology ApS. Creating a company covered by the words – talent, skill, honesty and seriousness, for both customers, employees and collaborators. We focus on our customer and quality and know when an extra effort is needed. We create job satisfaction and motivation in an innovative environment, with a focus on reaching good solutions. We work with our customers to meet the current and future market needs. We share knowledge and are aware of opportunities for improvement to create innovative solutions. We are dynamic and innovative and act as catalysts for development of new ideas/concepts or new ways to work – “work smarter not harder”. We have an open and honest dialogue and show respect for each other’s differences. We respond quickly to market changes and demands. We show drive and interaction in solving requests. We make decisions based on what serves the customer best. We are a technologically innovative company focusing on the development of machinery and equipment within FOOD AND PET FOOD INDUSTRY. We work with Automation and ROBOT solutions in both the production- as well as in packaging sector.